Unlike traditional blogging designs, themes that have been created for a specific niche tend to carry more personality and character. As is the case for VW Bakery — a lovely and colorful WordPress theme for bakeries, restaurants, and food bistros. Its colorful structure combined with creativity is an absolute treat to the eye. But even then, the creators have added tools and other features that help you convert this theme into one for businesses like pubs, bars, and cafeterias. In this sense, it’s a literal multi-purpose style theme with lots of choices for flexibility. 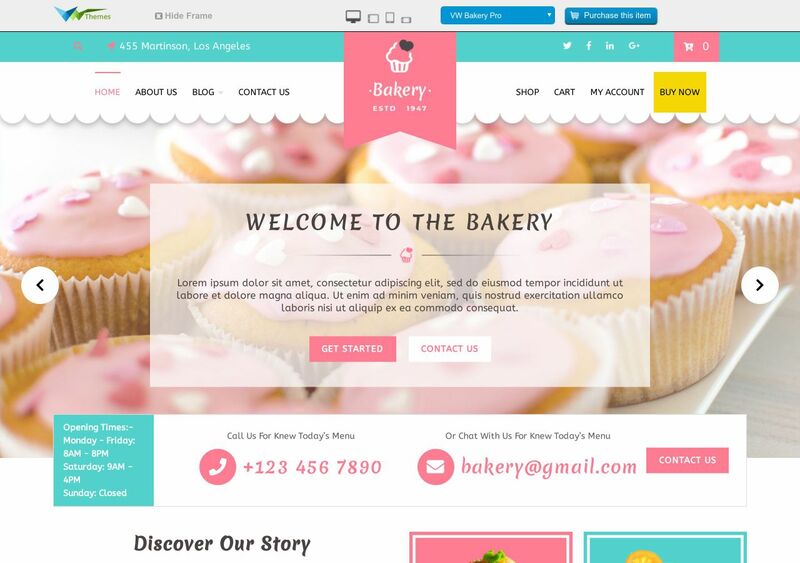 The homepage, where most of your visitor time is going to be spent, includes widgets and elements to explain your menu, services, location, contact details, and other critical info related to your bakery.